Image: Jamy/Barcroft Media via Getty Images. 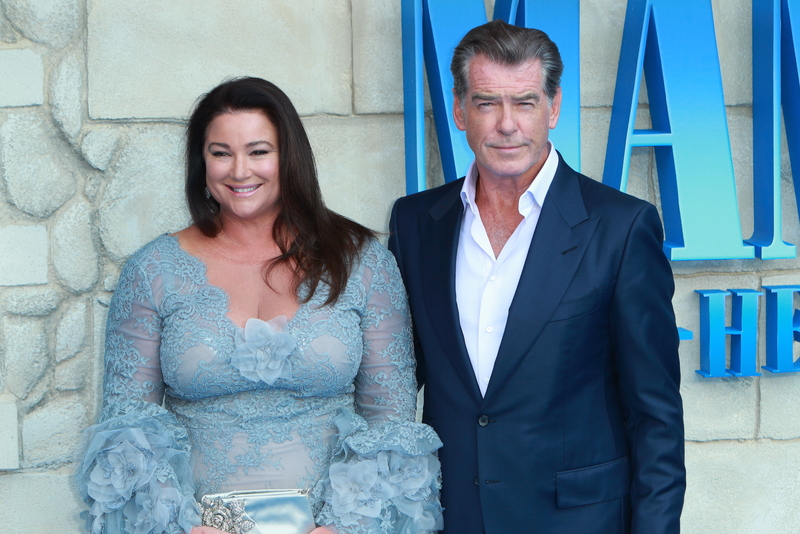 James Bond heartthrob Pierce Brosnan is celebrating the 25th anniversary of meeting his wife, journalist Keely Shaye Smith, and their enduring love for each other is #RelationshipGoals both in and out of Hollywood. Today, Brosnan marked 25 years in love with his wife with an Instagram post showing the two of them embracing and looking into each others' eyes. "Thank you for the love my love of these past 25 years, onwards…" the Irish actor wrote, adding heart and rose emojis for extra adorableness. Just when you thought Hollywood was a graveyard of broken relationships, Brosnan and Smith are showing everyone how it's done. The pair met in Mexico in 1994, three years after the tragic death of Brosnan's first wife, Cassandra Harris, who died of ovarian cancer at the age of 41. They took things slow and dated for eight years before tying the knot in 2001, and they have two sons together, 21-year-old Dylan and 17-year-old Paris. Later this summer, they'll celebrate 17 years of marriage. This isn't the first time that Brosnan has gushed about his wife. Brosnan told People last year that his perfect day involves watching the sunset with his wife and a glass of Champagne while they talk about their day. And these two smitten kittens aren't just gaga for each other on paper. Earlier this week, the two met for lunch, along with their son, fashion model Dylan, and shared a passionate kiss and embrace as if they hadn't been together for literal decades. The couple then headed to New York City, where they are celebrating the opening of Mamma Mia! Here We Go Again. There, Brosnan snapped another picture of the couple for Instagram, this time with him in a dapper hat and Smith carrying a bouquet of sunflowers. Can we somehow bottle their love for each other, please?